Features 14 PSD File Included Can be used for Coupon Codes Website Fully Layered & easy customizable Pixel Perfect Named Layers, Well organized in ps folders. Note: The images you see in the screenshots are used for demo purposes only, they are not incuded in the download package. 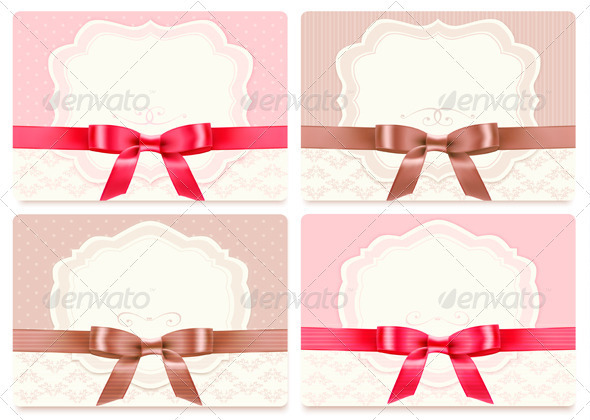 Set of beautiful gift cards with red gift bows with ribbons. Vector. Fully editable, vector objects separated and grouped, no blends, gradient mesh used. If you need a layered PSD, write it in the comments!